you need to turn the card over and score it again on the 9th line, this will give you a 13cm Sq card with a 2cm Spine, to house the concertina box. 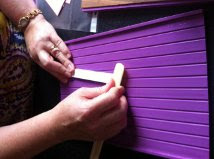 Score and 12cm by 15cm panel on every line to the 10th line on the lid side of a crafters companion board. 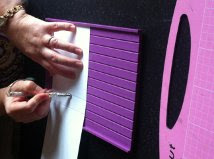 once you have every scored line folded, give them a nice tight crease with a bone folder. 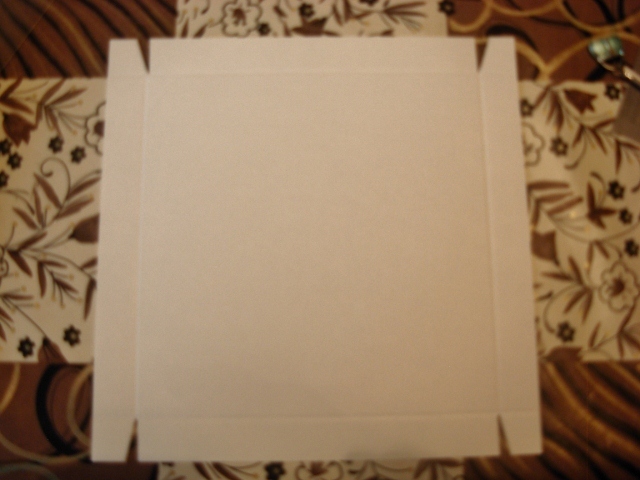 To form the box, you need to slip the folds in between each other. 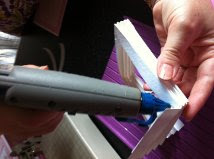 And Secure with Glue to hold in place. a greeting or poem 11cm Sq for the inside wall. 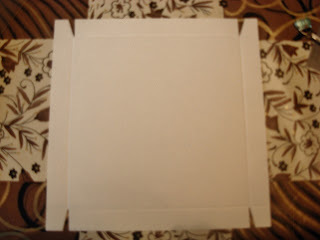 To attach the box, use hi-tac tape, and stick it centrally to the inside back wall. 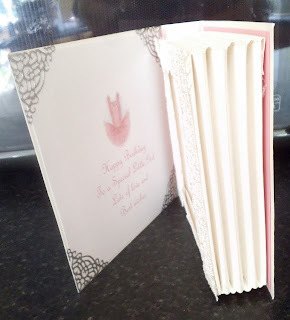 Add lace or a punched boarder to hide the joins. 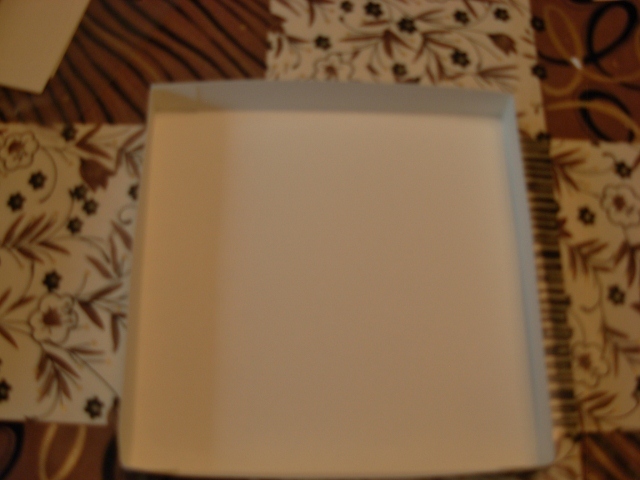 And add decoupage or embellishments inside the box. 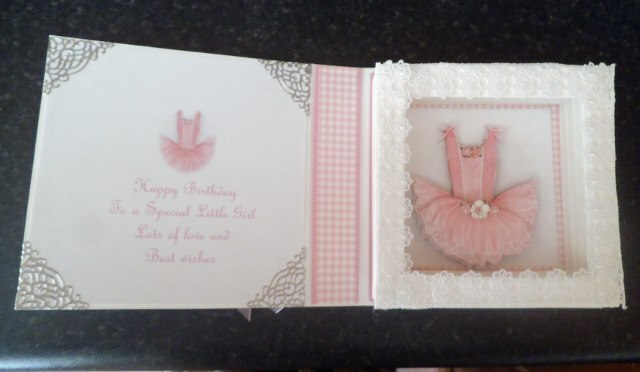 you can add a greeting or poem inside the card. 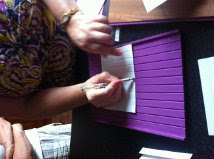 and decorate the front and back. 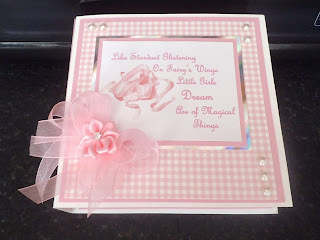 Cut 2 panels 21 cm Sq and score them on the third line for the lid and base of your crafter's companion board on the box side, this will give you a box high enough in depth for this card.